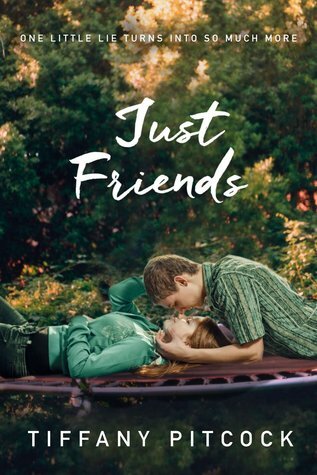 I think I first heard of Just Friends last year, and ever since I saw the cover and read the premise, I’ve been dying to get my hands on this book. I’m more than happy to announce it was worth the wait. Other than enemies to lovers, best friends to lovers is my favorite romance trope ever. Be it in YA, NA or Adult, I’m always intrigued when a book promises that kind of romance. This one was ever more special because it had a twist to it. Jenny and Chance aren’t the childhood best friends everyone believes them to be. After they’re paired up for a school assignment, they end up making up a story on the spot about how they’ve known each other since they were kids and have been best friends since then. The whole thing requires a little suspension of disbelief because everyone else around them buys the story without question, but it’s handled in such an adorable and cute way that I didn’t mind buying into the story as well. The thing between Jenny and Chance’s friendship is that it won me over from moment one, even though I knew it was fake. Or maybe because of that. I adored how they made up super fun and brilliant stories about their shared fake past. I ended up going with it because I wanted it to be true so badly. I wanted them to have that past because they needed it. Both Jenny and Chance were going through difficult times in their lives, and that friendship (fake or not) was exactly what they needed to get through tough times. Also, have I already said how adorable the whole thing was? I was pretty much smiling the entire time I read this. My heart was full and I was swooning hard. That’s exactly what I want when reading YA Contemporary Romance. Now, I have to say I liked Jenny, but she and I had a few problems here and there. I wasn’t a fan of some of her choices (especially one involving Drake—I mean, none of her choices involving Drake actually pleased me, but there was one in particular that almost made me stop reading). Now, Chance was a different experience altogether. I LOVED him. Absolutely loved him. His vibe, his heartbreak, the way he cared about Jenny, the way he stepped back when he feared losing her, the way he was still there whenever she needed him. Everything. I simply can’t recall anything about Chance I didn’t like. Chase and Jenny together were adorable, adorable, adorable, and left me wanting more. That final scene with them making up stories about the future was just too much for my poor heart. Just Friends gave me more than I expected it to in terms of feelings, and the way it added a spin to one of my favorite tropes only made the whole thing a thousand times better. It was so, so worth the wait. I was born and raised in Arkansas, which isn’t terribly exciting. 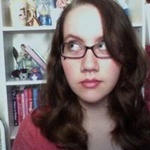 I’ve wanted to be a writer for as long as I can remember. I used to sit in class and write stories in my notebooks, thinking that everyone did. It turns out, everyone didn’t. I love writing because it means I’m putting my thoughts, feelings, and soul out there for someone else to read – for someone else to feel. The fact that someone can read my words, and empathize with my characters – characters that wouldn’t exist with out me, that I created from my mind – is such a wonderful concept to me. I could happily write for the rest of my life as long as there was one person out there who was affected by my words.